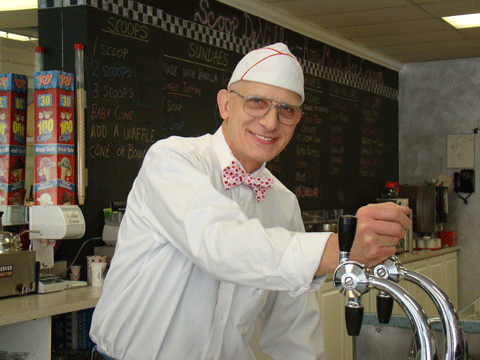 Established in 2009, Scoop DeVille is a family owned and operated ice cream parlor located in historic Hartford Wisconsin. 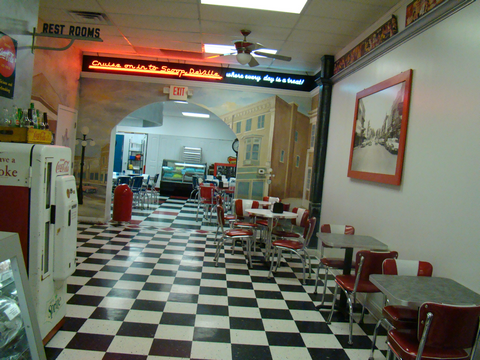 Relive history as you step into Scoop DeVille with our working soda fountain, and checkerboard floor. 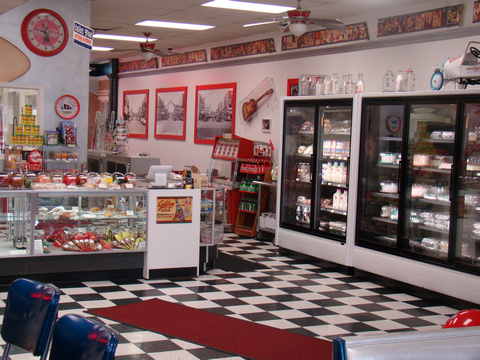 The original building dates back to 1887 and has been home to a bakery, confectionery, barbershop, and most memorably, as a drug store with a soda fountain. A short walk from Hartford's original high school and City Hall, it served as a social gathering place for people of all ages and continues to do so today. 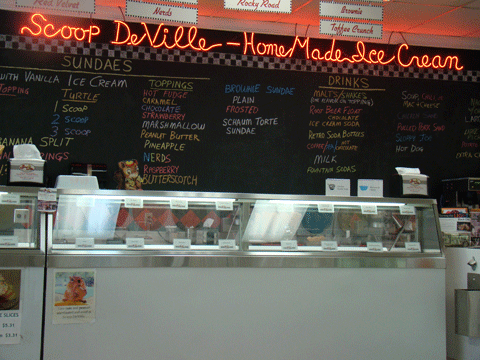 All of our ice cream is made at Scoop DeVille by us, not in a factory in some other city. 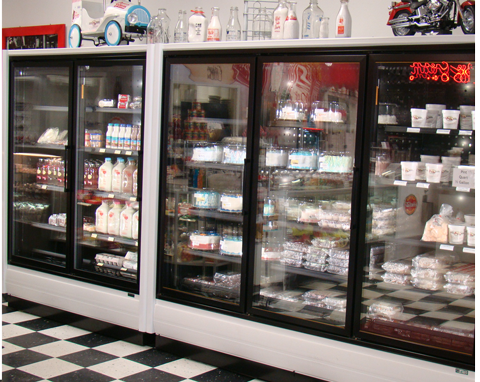 We have 32 flavors on display every day. Special, seasonal, and new flavors are available thoughout the year. All of our ice cream is served in your choice of a homemade chocolate or vanilla waffle cone or bowl, sugar cone, cake cone or just enjoy in a dish. 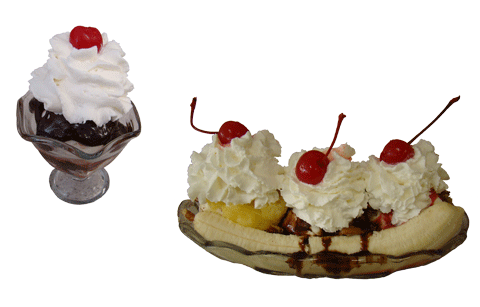 Or for a special treat, try our ice cream in a malt, float, shake, sundae, or banana split. Enjoy your treats year-round inside our comfortable shop or take them with you. 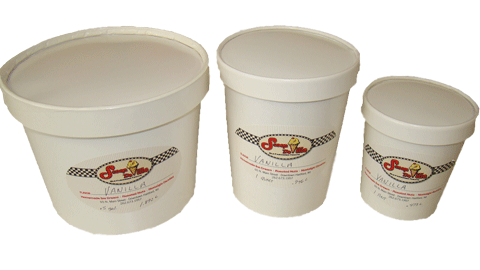 Take home a pint, quart or half gallon of your favorite flavor. 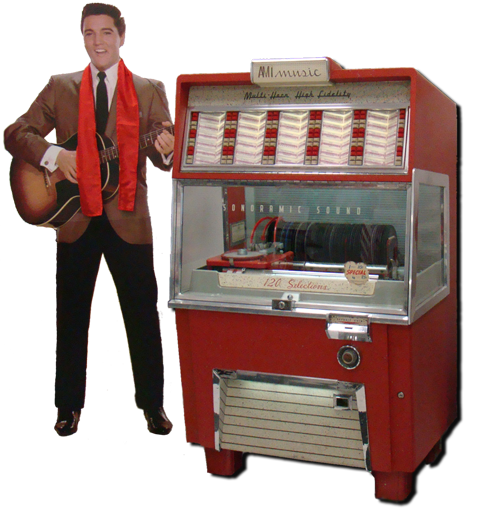 Rediscover and reminisce over the old fashioned candy popular years ago. 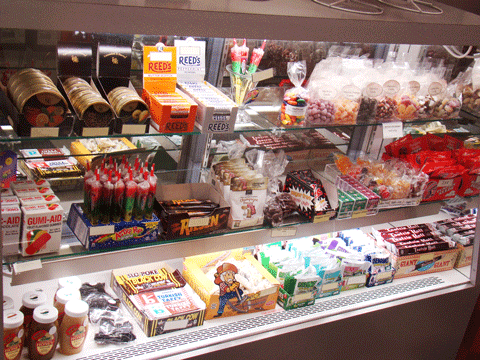 We have the vintage candy you have been looking for: Bonomo Turkish Taffy, Slapstick, Slowpoke, Black Cow, Necco Candy Buttons, Candy Sticks, Clark bars, Chuckles, and Gold Mine gum. 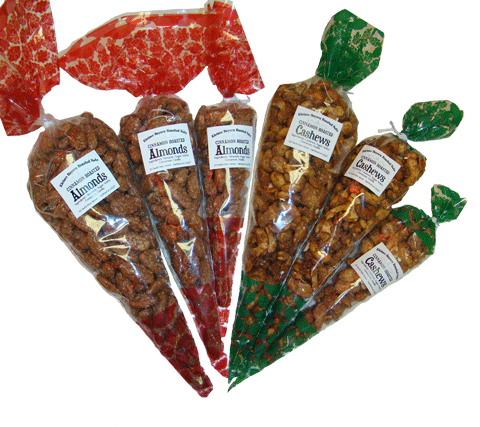 We are very pound to make and offer cinnamon roasted almonds, pecans and cashews. We use an authentic Bavarian recipe that has long been a staple at Munich's world famous Oktoberfest. We think you'll agree that the delicious combination of cinnamon, sugar, and pure vanilla make out cinnamon roasted nuts a true taste treat even for the most discriminating connoisseur. 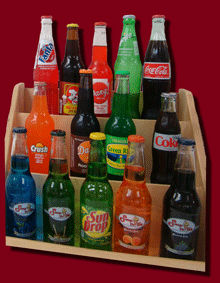 In addition to our fountain service, we have retro soda in glass bottles. Try a bottle and we think you'll agree that the soda in a glass bottle tastes better than out of a can or plastic bottle. Try Sun Drop, Green River Lime, Dog N Suds, Orange Crush, and of course, Coca-Cola and Sprite. 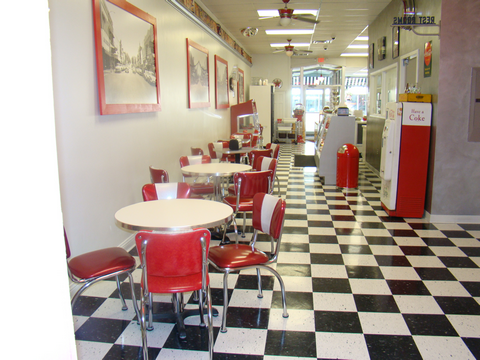 We are proud to serve Coke products at our soda fountain, where we can custom blend your favorite combination with cherry, lime or vanilla added. Want a chocolate soda or phosphate? Whether you're looking for a cake for dessert tonight, bite-size brownies and cheesecakes for an informal gathering, or a custom cake to please a crowd, Scoop DeVille is the place to go! 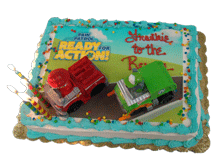 We can help you with ready-made treats for an impromptu party or, with a week's notice, we'll whip up a custom cake to your specifications. Not a cake person? 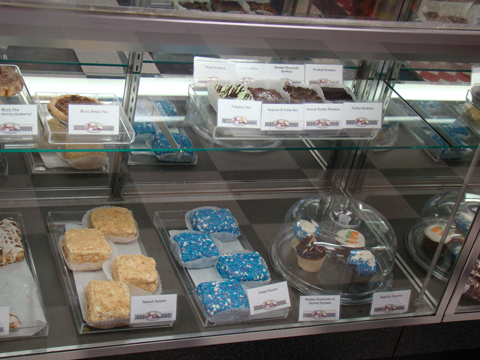 We also have mini pies, brownies, turnovers, and pumpkin bars to choose from. 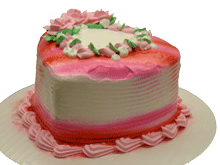 You can also special order full size pies and cheesecakes. All of these treats are made and baked right here! Milk in a glass bottle - what a treat! 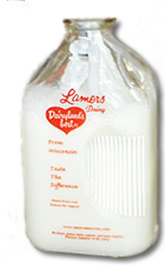 Our rBGH-free milk comes from Lamer's Dairy - Dairyland's Best, an over a century old family business, supplying us with both white and chocolate milk and orange juice. Along with milk, we also carry organic and non-organic eggs, several types of cheese, sausage, and some of the best hand-rolled butter we've ever tasted. 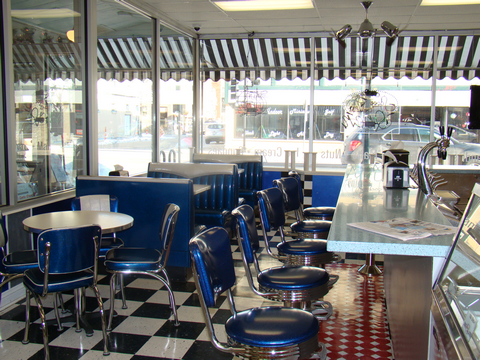 Watch as sodas and phosphates are being made before your eyes at our original soda fountain. Indulge in our homemade ice cream as a sundae, in a soda, or on a cone to relax after a day of shopping, sightseeing, or watching a performance at the Schauer Arts Center. Within the store you can reeminisce about historic Hartford through our collection of photographs and memorabilia.